Bubble gum flavored floss to help encourage children to floss. Glide is extra soft and comfortable on the fingers and gums. Easy to hold, Glide won't slip through your fingers but slides easily between tight teeth without shredding. Made in the United States, this floss effectively removes plaque. It comes in a fresh mint flavor. 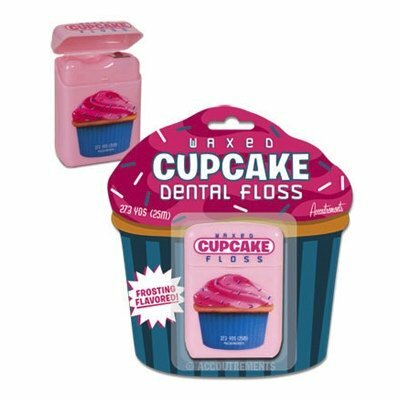 Turn a boring nightly routine into a party in your mouth with Cupcake Floss! Be careful though, the delicious frosting flavor might turn you into a flossaholic! 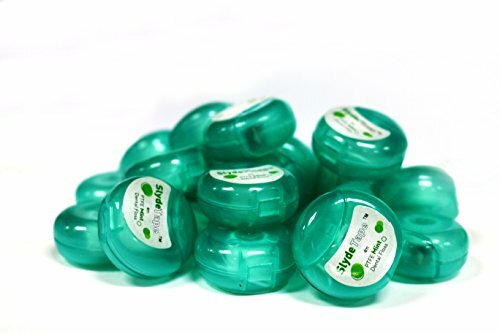 Each 2-1/2" (6.4 cm) tall plastic dispenser contains 27.3 yards (25 m) of waxed floss. Do you love the taste of bacon in the morning? 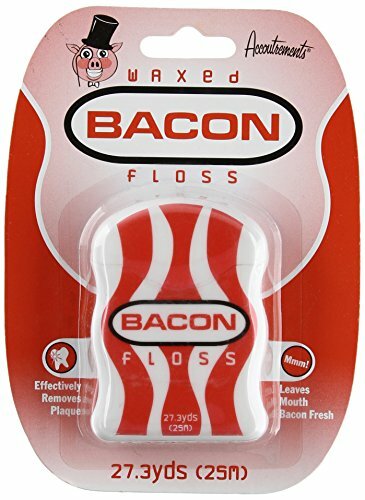 This bacon flavored dental floss is just the thing for you! The dentist recommends flossing everyday and what better way to do that than with this yummy bacon floss. It effectively removes plaque while leaving your mouth bacon fresh. Get it for yourself or as a gift for the bacon lover in your life! 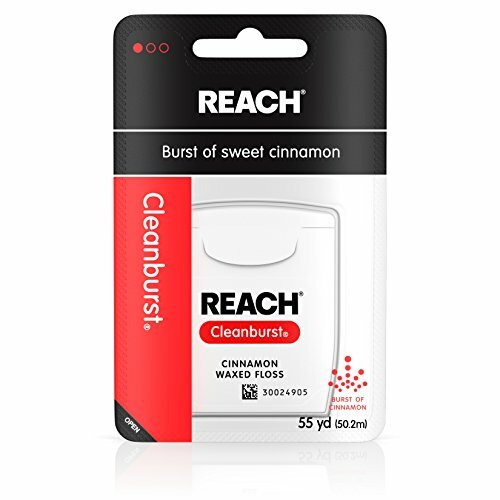 Reach Cleanburst Waxed Floss is a cinnamon flavored floss that is waxed to slide easily between teeth while it removes plaque and food particles. 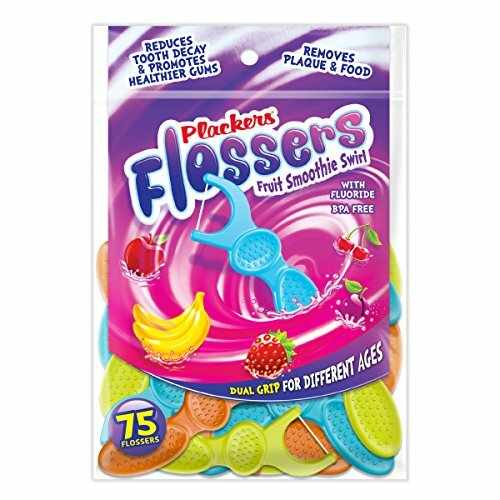 Grape flavored floss to encourage children to floss their teeth. 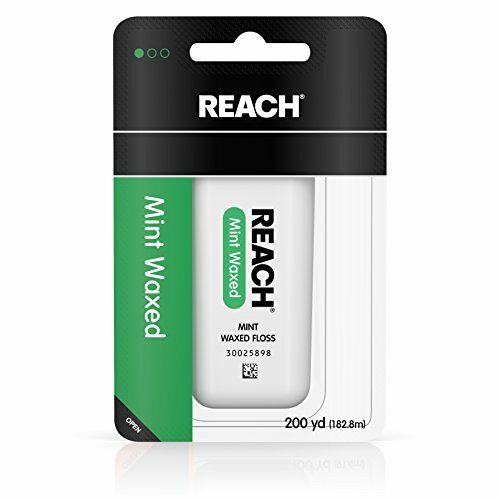 Reach Mint Waxed Dental Floss is the number-one-selling floss. This mint flavored floss is waxed to slide easily between teeth while it removes plaque and food particles. 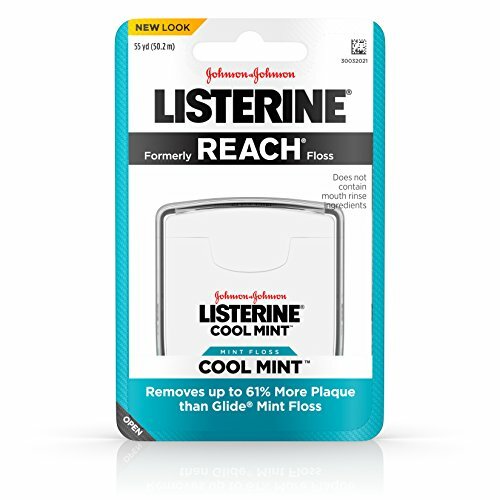 Floss your way to a cleaner, healthier mouth with Listerine Cool Mint Interdental Floss. 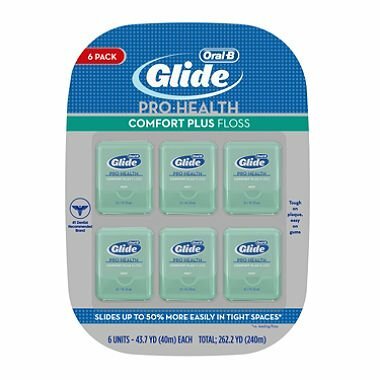 This dental floss uses advanced technology to remove up to 61 percent more plaque than Glide Mint Floss*. Flossing removes plaque on teeth that brushing may miss and is an important step in your oral care routine. Listerine Cool Mint Interdental Floss delivers a burst of mint flavor every time you floss, leaving your mouth feeling fresh and clean. It does not contain mouth rinse ingredients. *Third Party Trademarks used herein are trademarks of their respective owners. Copyright © Wholesalion.com 2019 - The Best Prices On Flavored Dental Floss Online.